Much to the chagrin of some people, the Broncos roster looks the same today as it did following their victory over the Browns nine days ago. Despite plenty of suggestions to the contrary, the team didn’t use their bye week to fill voids via free agent signings or trades. 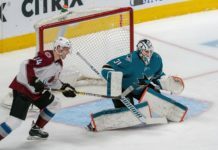 This certainly isn’t because there aren’t any weak spots in Denver’s lineup; someone would have to be blind not to see them and foolish to believe they didn’t exist. Nor was it due to the fact that there weren’t options available; tight ends like Martellus Bennett and Vernon Davis were reportedly on the trading block, both of whom would have been upgrades over Owen Daniels. The Broncos were smart to leave well enough alone, however, because they have a good thing going. And that’s not just in the win-loss department, although the team chemistry that John Elway and Gary Kubiak have built has a lot to do with the club’s perfect 6-0 mark. Building an NFL roster is an inexact science; it’s a concoction of 53 personalities – all with their own egos, insecurities and idiosyncrasies – that somehow have to mesh in the pursuit of a common goal. When it works, it’s a beautiful thing, a testament to the ultimate team game. When it doesn’t, it’s a train wreck, a messy display of individual parts being strewn in every possible direction. This week, the chance to sit back and observe the NFL provided examples of both scenarios. The slate of Thursday, Sunday and Monday games offered a glimpse of how some recipes work and others fail miserably. Last night in Arizona, the Cardinals beat the Ravens to improve to 5-2. During the course of the game, they received huge contributions from veteran players who were added to the roster in recent weeks. Running back Chris Johnson powered their ground game, tight end Jermaine Gresham became a big target for quarterback Carson Palmer and defensive end Dwight Freeney pressured Joe Flacco. All three players were on the brink of retirement before general manager Steve Keim signed them in Arizona; now they are playing big roles for a first-place team. But that’s the rare exception. More often than not, this strategy of bringing in players at the 11th hour doesn’t work; it becomes divisive to a locker room, a problem that far outweighs any potential upgrade in talent that occurs. That’s what is happening right now in Dallas, where Greg Hardy is proving to be the problem that many naysayers suggested he would be. The talented defensive lineman missed practice last week, shoved an assistant coach on the sideline during the Cowboys loss to the Giants and got into a shouting match with Dez Bryant during the same game. Meanwhile, America’s Team has lost four straight and their season is careening off course. Similar things are happening in Houston, where backup quarterback Ryan Mallett is proving to be a problem child. He missed the team’s charter flight to Miami, a misstep that prompted Bill O’Brien to consider cutting the former starter. The head coach was overruled by general manager Rick Smith, however, creating a power struggle that has left the Texans in shambles. On Sunday, they trailed the Dolphins by a 41-0 count at halftime. And in Indianapolis, an attempt by GM Ryan Grigson to plug holes in the roster during the offseason with veteran free agents has proven woefully inadequate. Running back Frank Gore and wide receiver Andre Johnson haven’t bolstered the offense, as Andrew Luck and Company are sputtering to get out of the gates in most games. Meanwhile, defensive lineman Kendall Langford and linebacker Nate Irving have done nothing to help a defense that can’t stop anybody. While each of these situations is unique in its own way, there is one common thread that runs through them, as well as the myriad of other messy situations in the NFL right now (think Philadelphia, Baltimore, Detroit and San Francisco): Roster shakeups, both big and small, are tough to make work. Getting a bunch of random pieces to go together may be doable in fantasy football, but the real-life version of the game is a much more complex and delicate balance. The Broncos know this firsthand, a lesson they learned in 2009. That year, Denver started the season 6-0 and headed into their bye week feeling pretty good about things. But rookie head coach Josh McDaniels couldn’t leave well enough alone; he had to tinker with the roster, cutting punter Brett Kern and replacing him with Mitch Berger. The move backfired; rather than motivating the team by showing that no one was safe, even on an undefeated team, it instead positioned McDaniels as a tyrant who was trying to bully his players into respecting him. 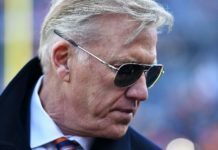 The Broncos season fell apart, as they finished 8-8 and missed the playoffs, while the coach would go 5-17 across the next season-plus before being fired prior to the end of 2010. That’s why Elway, Kubiak and the powers that be at Dove Valley were smart not to tinker during the bye week. Could they have found a player or two who were an upgrade on paper? Sure. But they would have been messing with a team chemistry that currently appears to be a perfect mix. 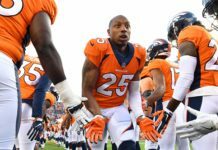 Right now, the Broncos seem to be 53 guys heading in the same direction, chasing a common goal. There’s no infighting or finger pointing, but rather healthy competition and teammates pulling for one another. That’s tough to build, but easy to tear apart. Potentially improving the roster in a couple of spots would have been nice, but it certainly wasn’t worth the risk of destroying the camaraderie that currently exists in Denver. That ingredient is more crucial to success than any new player could have possibly been. 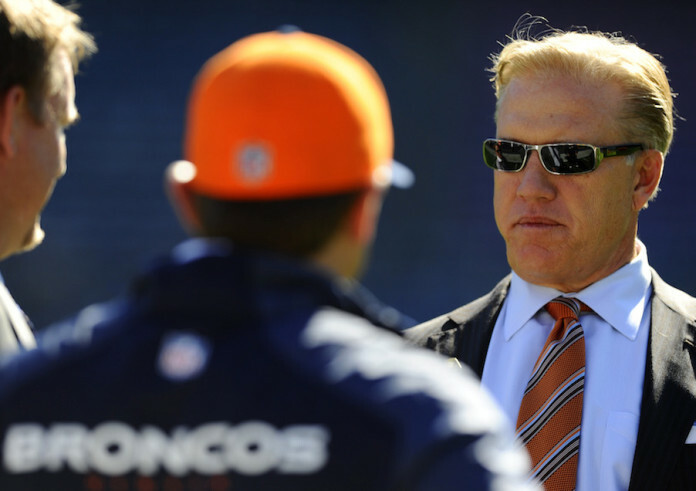 John Elway did the smartest thing he could have during the bye week; he did nothing.